It's already Hump Day and the winning streak continues. For a 4th day in a row, the FNMA benchmark bond is up - not much and it's early so keep a close eye on it. Yesterday it was up 15 basis points (good) but closed 39 basis points off its high (bad). It broke through the 2nd resistance level briefly before getting beaten back badly. If you decide to float, be judicious in watching the benchmark bond. The Fed Minutes will be released this afternoon at 2:00 pm EDT. 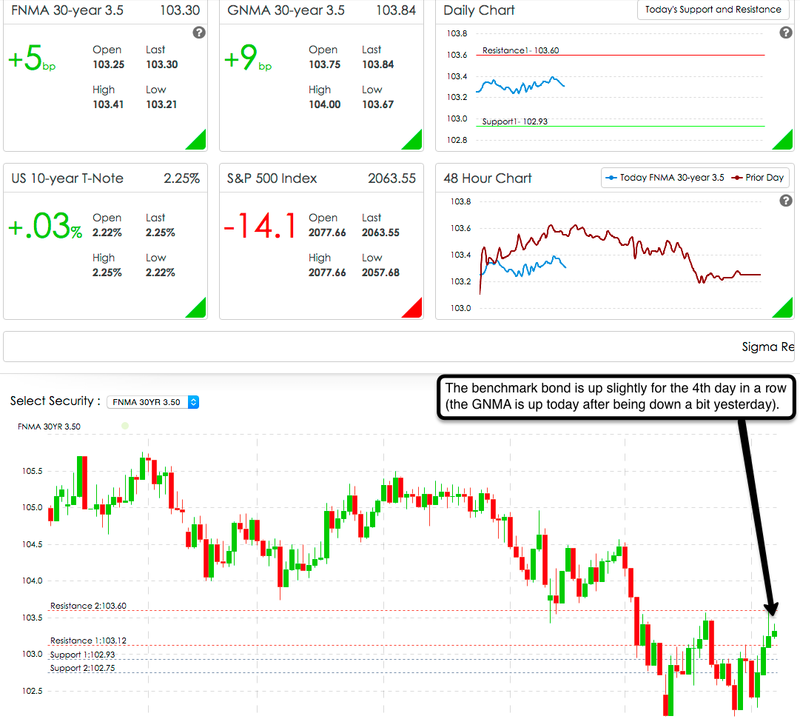 There is also a 10-year treasury auction at 1:00 pm EDT and depending on how well that is absorbed into the market, there could be some sell-off in bonds. 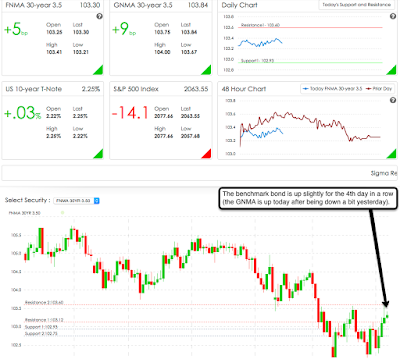 The RSI is close to overbought and with the recent moves higher, bond traders may decide to sell and take some profits. The elephant in the room is Greece and China - we are still waiting to see what happens with Greece and with the big sell-off in China's stock market, I'm sure investors are curious about what the repercussions will be from one of the biggest investors in US bonds. If you float, do so with caution. After a move like we've had over the last 4 days, I'd probably be happy locking in the gains. Make today great.